Help us in distributing blankets to homeless people for this winter. 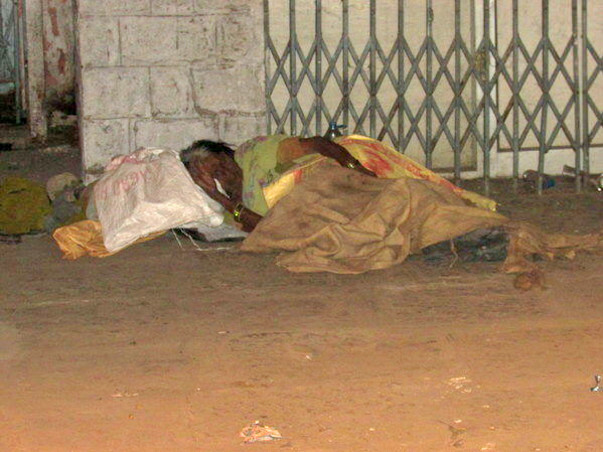 In Bangalore city more than 1,000 homeless people, including beggars, who spend their nights on roadsides, at bus stands, railway station, footpaths and other public places in the city. During the night time these people are sleeping covering themselves with an old bag, plastic cover, banner sheets and old cloths. From this we came to know that they were suffering from fever, cold and other diseases, especially because they lacked warm blankets. Hence, we have started this project. Our plan distributes at least 1000 blankets and warm clothes for this winter so they can sleep well. This fundraising is an attempt to provide a helping hand. I was born and brought up in Bangalore. I worked 10 years in MNC Company in koramangala area. Now I am running own power looms. When I was working, koramangala and surrounded areas I have seen so many homeless peoples and I would give some bucks to them. With one homeless person I opened up conversations and I got to know their problems and realized that we should not give them any money they’ll only buy booze with it. So thought to provide them blankets, warm clothes, footwear’s and some food with the help of public. As of now I am unable to provide them the shelters but I have a clear future plan for them. With the funds I have planned to buy blankets, sweaters, footwear’s and food packets for them I would update the progress. I will ensure your contribution would be used in the best possible way. It will bring a smile on at least few homeless people this winter. I would be grateful for any amount, as even the smallest contribution will make a great difference to me. For any reason you cannot contribute, please do share my efforts on social media and I'll be grateful for any way that you can help me achieve my goal. I would like to personally do the ground work with the help of few friends. Pics will follow soon. Our team has started the distribution of blankets. Good work guys and I will be always with you guys to this kind of social activities. I will share this page to my friends to get this campaign success. Good initiative Mr. kumar. I will share this on my FB to get maximum support. God bless you.